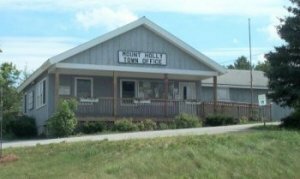 All birth and death certificates for the Town of Mount Holly from October. 1, 1792, forward are located at the Mount Holly Town Office. Copies are $2.00 per page, and certified copies are $10.00 per page. Back to top. If both bride and groom or partners are Vermont residents, you may go to the Town Clerk in either of your towns of residence. If just one of you resides in Mount Holly, you must buy the license in this town. If neither party is a Vermont resident, you may get the license from any Town Clerk in the state. The license costs $60.00 and is valid for 60 days from the date it is issued. During that time period, an authorized person must perform your wedding or civil union ceremony – otherwise, the license is void. Copies are $1.00 per page, and certified copies are $10.00 per page. Back to top.